Loyalty marketing has evolved a lot over the years and decades. In terms of brand loyalty and promoting an allegiance between the company and the customer, the basic principles of marketing have been adhered to, if not codified, for more than a century. Let me ask if you’ve heard this one before: The customer is always right. Ever wonder where that phrase came from? Around the turn of the 20th Century, it came from a pair of businessmen: Marshall Field with his famous Chicago department store and Harry Selfridge with his own eponymous store in London. This saying has become so cliché that it’s much more common to critique the ways in which the statement is wrong or misleading. This approach can make for clickable titles and subject lines, but it’s almost always a Straw Man argument….The customer is always right was never meant to be taken literally. Even in its original context, the slogan was meant to convey that the customer would get reliable and accommodating service within reasonable limits. More recently, our loyalty marketing strategies have gotten a lot more sophisticated. And in many ways, it’s come full circle. Rather than incentivizing customer behavior through loyalty programs, more and more companies are looking to first demonstrate their loyalty to the customer who then become advocates for the brand. Businesses are looking to get a lot closer to their customers and pay closer attention to their secondary preferences and behaviors so as to predict the quality of their experience with the company. In turn, they can identify which customers are most likely to become loyal advocates of the product or service. For the most part, they’re doing this because they can. Because new data and new data analytics are making this possible in a way that was never available before. A lot of idealistic business owners set up their companies with the unwavering goal of not becoming an “evil corporation.” But whether or not you think of this mission statement in terms of monetizing your business’s product and services, it’s often connecting these good intentions and social outcomes with the customer experience that has the biggest impact to the bottom-line and long-term viability of the company. In a modern economy in which effective customer acquisition depends on customer advocacy, the importance of the customer experience cannot be overstated. Put in a more tactical way, it’s a lot easier to penetrate people’s social networks when people feel like they can proudly and enthusiastically share information about your company. It’s much, much easier to accomplish this when the company is consistently associated with positive goals in a broader social context. To Be a Socially Good Business, You Need to Be a Business. Unless they’re explicitly set up and designed to operate as nonprofits, companies need to make a profit. Maybe not at first, but it should a sound business plan to get to profitability. The idea that customer loyalty should be earned at all costs because profitability can always be achieved later is flawed. Recognize How to Encourage Donor (and Investor) Loyalty. More than just loyalty marketing to customers, it doesn’t hurt to encourage loyalty among investors especially those from whom you may be seeking multiple rounds of funding. Nonprofits are a good place to look for tips and advice, as donor loyalty is the very lifeblood of these organizations. Take a look at the ten steps in this article link, and you’ll see that the underlying theme is finding a reliable and consistent method for communicating with donors and investors. 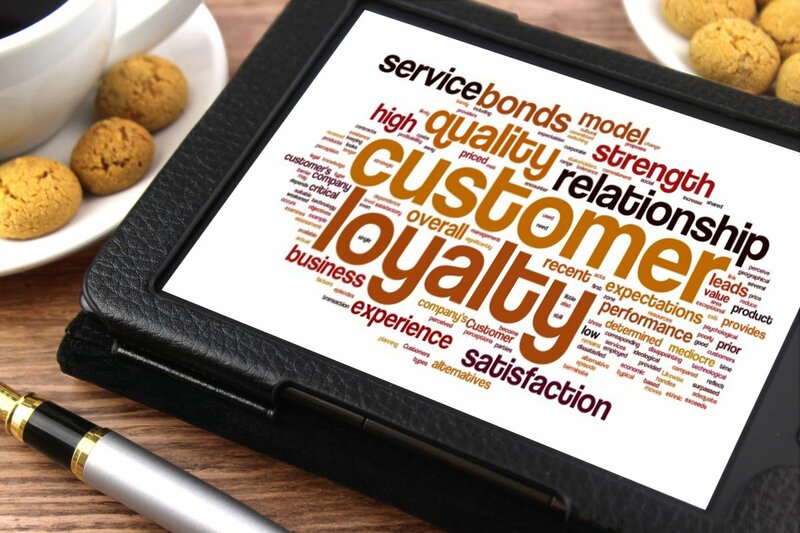 Learn the New Terminology of Loyalty Marketing. What makes for good loyalty marketing strategy has itself changed more than once over the years. From loyalty programs to strategic partnerships to customer-centricity, the newest incarnation of loyalty marketing involves a holistic strategy of maintaining a dialogue with customers, paying attention to that conversation, and then proactively responding to their needs.